A few months ago, NIS America announced a couple of Nintendo 3DS games for Europe and North America. The first one is already available: RPG Maker Fes, which received some DLC a few days ago. 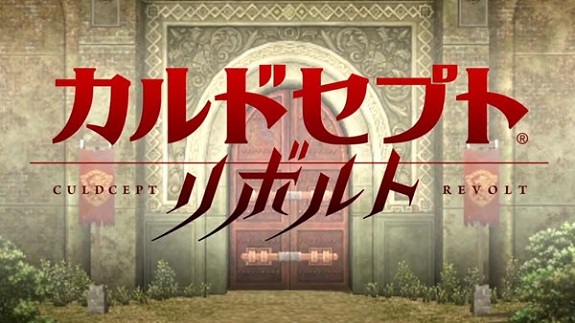 The second should have already been released by now, but it ended up delayed: Culdcept Revolt, originally a Nintendo game in Japan! If it’s your first time hearing about the game, make sure to check out this post for more details! Earlier this week, NIS America shared a brand new trailer for Culdcept Revolt, showcasing multiplayer. As you can see for yourself below, multiplayer can be played with 2 to 4 players, either online or via local wireless. In fact, you can even choose to play against the computer, if you don’t have anyone to play against. But there’s a catch: in order to get them for free, you need to sell your soul to NIS America!… Ok, maybe not your soul, but you do need to sign up on the official website. Also, there’s a sign up page for each region, so make sure you sign up at the right place. The codes will be emailed to you on launch day. Culdcept Revolt (3DS) comes out on October 3rd in North America, and October 6th in Europe.